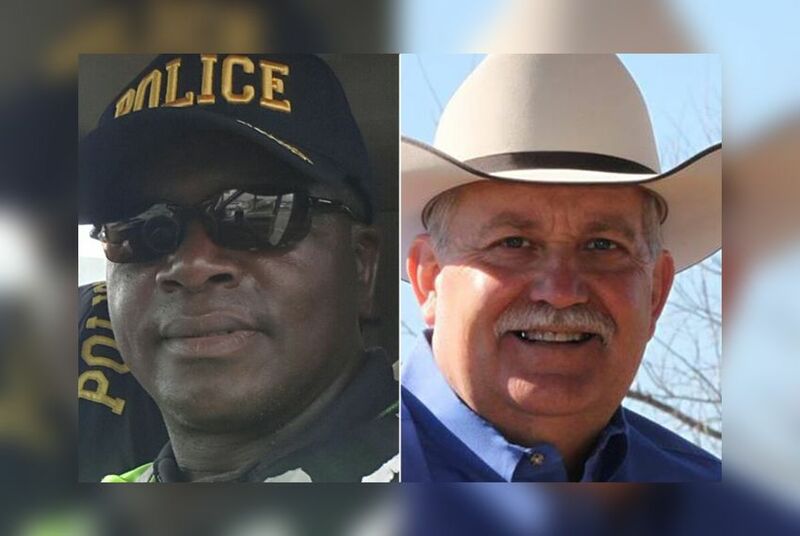 Democrat Cedric Watson had hoped to become Waller County's first black sheriff, but he lost by a wide margin to incumbent Glenn Smith, a Republican. WALLER COUNTY — More than a year after Sandra Bland was pulled over here and later died in jail, voters turned out in high numbers to re-elect Republican Sheriff Glenn Smith. He won with 65 percent of the vote, according to unofficial results released by the county late Tuesday night. Democrats had hoped the record-high turnout — 16,400 ballots cast in the county for sheriff, compared to 15,700 four years ago — would favor their candidate, Cedric Watson, who aimed to be the county's first black sheriff. But Watson lost the election by nearly 5,000 votes. "It just lets me know the people are satisfied with what [Smith] is doing," said Watson, who had accused Smith of poorly running the jail where Bland died last year. He added that voters "weren't misinformed – that's for sure." Smith declined to speak with The Texas Tribune before the election and did not respond to requests for an interview on Election Day. He has served as Waller County sheriff since 2009. Wallace Koenning, the county's Republican party chairman, said the problems at the jail preceded Smith's term as sheriff and that Smith is doing the best he can to address them. The 2016 election was an emotionally resonant one for students at Prairie View. Students there have long fought for the right to vote in Waller County, and Bland was a Prairie View alumna. She was minutes away from campus when a state trooper pulled her over last year and eventually arrested her. Her death in the Waller County jail was later ruled a suicide. The mood was also grim at a student watch party Tuesday night, as a path to victory significantly narrowed for Democratic presidential nominee Hillary Clinton, the overwhelming favorite on campus. "It's time to pray," a student said over the microphone. Disclosure: Prairie View A&M University has been a financial supporter of The Texas Tribune. A complete list of Tribune donors and sponsors can be viewed here.